I was pretty pumped when I got the call that I would be shooting a live shot for ESPN’s NASCAR Now. 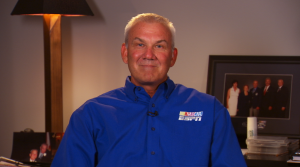 I was going to be doing three hits with NASCAR’s, now analyst, Dale Jarrett. 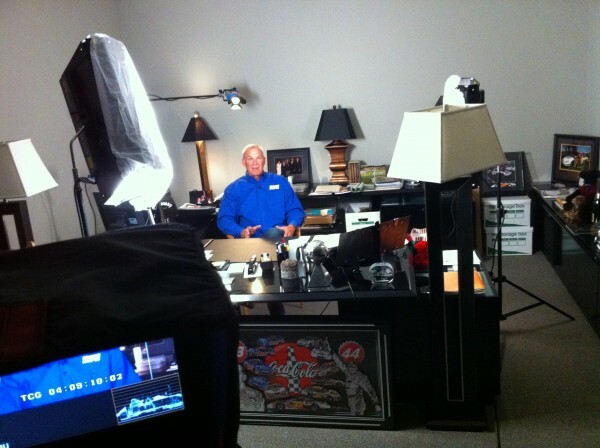 With a HDX 900 in hand I headed out to Conover, NC the home of Dale Jarrett Inc. I was given a few options as to where to set up the live shot. The best place turned out to be Mr. Jarrett’s office. Thanks to a few Kino Flos I was able to set up the shot pretty quickly. I ran SD-SDI with embedded audio out to the sat truck. Shooting live shots with an HDX 900 is easy thanks to the built-in down converter. Once Mr. Jarrett arrived I hooked him up with IFB and a lav. Before I knew it the former Winston Cup champ was doing his thing. After three hits I was given the green light to pack up. I love shooting live shots, especially when it’s for ESPN.